Especially in the online industry, where speed determines competition, it is important to find answers to your questions in one click. That’s why we’ve put together frequently asked questions and answers for businesses and consumers. However, if you do not find a suitable answer to your question, our service team will gladly personally be there for you. For which companies is the review badge suitable? The EXCELLENT.ORG review badge is of interest to online stores as well as service providers because no online transaction is required to provide a review. Why are reviews important to my business? Customer reviews create confidence in your performance, especially with new customers. As a result, a majority of consumers now rely on existing feedback. In addition, the review will sustainably strengthen the loyalty of your existing customers. Can the review badge be integrated in every shop system? In principle, yes, because only a HTML code must be inserted into the corresponding Shop template. Depending on the used shop system, however, the integration can take place in different ways. Where can I insert the review badge on my website? For “IT layman” EXCELLENT.ORG provides prefabricated solutions that fix the badge on the right or bottom edge. Of course, advanced can also place the badge anywhere within your page. How can I install the review badge on my website? First, log in to your EXCELLENT.ORG customer account. Go to the menu item “Place your seal” you can select and configure your badge variant. Here you also get the HTML code that you only need to paste on your website. Is there a responsive widget version? Of course! Our responsive badge version running on the right side and automatically jumps to the top of the page as soon as the window fall below a prescribed pixel width. This effectively prevents our badge from covering your page content. When will my review appear in the badge? Who can evaluate me and how am I protected from fake reviews? EXCELLENT.ORG only accepts reviews from real customers. To protect you from fake reviews, EXCELLENT.ORG uses the so-called double opt-in procedure, in which the specified e-mail address of the rating must be confirmed again in a separate e-mail. How can I ask my customers for a rating? We recommend that you use the review link provided by us. This can be easily integrated into automated e-mails and leads your customers directly to your review form, on which the review is done. We recommend sending the review request – the consent of the recipient provided – a few days after shipment of the goods or performance of the service. Can I decide for myself which reviews should be published? No, you can not choose which rating will be published and which not. Each review will be published by us as long as it complies with our policies. How do I deal with reviews that I consider unjustified? We recommend that you first contact the reviewer yourself in order to try to find a solution to the conflict. In the case of failure, you can then initiate the EXCELLENT.ORG mediation process, where our experienced mediation experts try to reach an agreement between you and the reviewer. Regardless of this, you also have the option of adding a public comment to a review at any time in order to make your point of view visible to anyone. Special case of policy violation: if a submitted review violates the evaluation guidelines of EXCELLENT.ORG, the company may notify EXCELLENT.ORG of this policy violation. EXCELLENT.ORG will then examine the case individually and delete the relevant review after detailed examination if necessary. Will my star ratings also appear on Google Ads and Google Shopping? EXCELLENT.ORG provides Google with a daily data feed with all the latest ratings. This can also be used to show star ratings in Google ads and Google Shopping. At present, at least 150 reviews with an average of at least 3.5 out of 5 stars from the last 12 months are required, which were submitted via EXCELLENT.ORG (as of 02.2018). Unfortunately, the amount of time Google takes to process the data can not be narrowed down. Experience has shown that this is about 4-6 weeks. Which external rating portals can I include in the badge? Basically, all portals can be integrated, where the average rating and the total number of evaluations can be seen (eg eBay, Amazon, Facebook, Qype, etc.). In individual cases, however, it may be that certain portals can not be integrated. In this case, we will inform you as soon as possible. Are ratings of external portals updated regularly? Yes, ratings are updated weekly to keep them up-to-date. Are reviews of external portals updated regularly? Yes, reviews are updated weekly to keep them up-to-date. Which payment method is accepted by EXCELLENT.ORG? You can conveniently pay by direct debit or invoice. You will usually receive your invoice electronically by e-mail. Do I have to log in as a consumer to submit a review? No, a registration is not required to submit a review. Where can I post my review? You bought a product or used a service and would like to submit a feedback. Then click on the EXCELLENT.ORG review badge on the website of the provider. There you will find an overview of the previous consumer reviews. Now click on the green “Rate” button on the right side. What do I have to do if the “rate-button” is disabled? In general you are getting a review link from the provider after receiving your order and using the service. With this link you can submit a review directly. How can I post my review? Now select the number of stars you would like to give (one star equates “poor” and five stars “very good”) Then write a suitable title and a detailed description of your experience with the provider. You have to enter your e-mail address and confirm it later that the provider can check if this is a real customer review. Now select the name under which the review should be displayed. The review will be activated by clicking on the link in the confirmation e-mail. The EXCELLENT.ORG review system serves to evaluate the complete performance (e.g. service, communication, delivery time, packaging etc.) of a shop or service provider and is therefore not intended for individual product evaluations. When can I see my review online? Usually the review will be published after 1 to 7 days. Can I subsequently change an already submitted review? Yes, you can edit your submitted review at any time. I still have not received my ordered goods - what can I do? Please note that EXCELLENT.ORG only provides its customers an evaluation system and does not provide a classic seal of approval with buyer protection or similar. Should your order lead to problems with one of our customers, we recommend you to use our review portal and the option to give a review. Negative reviews are annoying and often unjustified. By dealing with negative reviews fairly often, however, they can be positive and offer traders the opportunity to learn. Unfortunately, many shop owners are carelessly reacting to negative reviews, making it difficult to resolve the conflict. How do I react to a negative review? It is important to act calmly and deliberately and not to respond hastily to a negative review. First, you should contact the customer yourself and try to find a solution to the conflict. 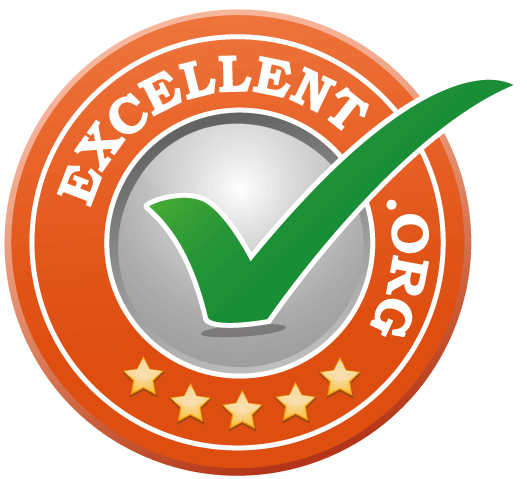 Your account at EXCELLENT.ORG gives you the opportunity to publicly comment on your reviews or send a private message to the customer. In the case of a negative review, it is advisable to contact the customer via private message and not to publicize the conflict. How do I behave towards the customer? When contacting the customer you should remain objective and respond to the customer’s criticism, as poor or lacking communication can also lead to negative reviews. We also advise against verbal abuse and threats. When communicating, remember that you want to get the customer reviewed or removed, so your goal is to reach an agreement. Be attentive to the customer and remain courteous, even if it is an obviously unjustified review. In order to reach a positive agreement and to change the review, it is also important to understand the customer’s situation. Experience has shown that the easiest way to change the review is to take the criticism seriously and clarify the incident. Then most customers are also willing to rethink and change their review. Thank you for taking the time to post a review for our shop with the EXCELLENT.ORG tool. Unfortunately, this review did not turn out positive, reason is ………… We can understand that you are not completely satisfied, however, you can easily contact us by phone or email, as we always strive to address all concerns as quickly as possible to clarify, because customer service is very important to us. You are also welcome to leave us your contact details, then we will contact you immediately. We hope that we can complete this process positively and in your sense. If you have changed your mind, I would like to point out that you have the opportunity to change your review via the review link again. I would like a short feedback by …. looking forward. Thanks in advance. What do I do if the customer agrees to change his review? If the customer agrees to change his review, he can easily change it himself. Upon submission of the evaluation, each customer will receive an email with a link to confirm the review. In addition, this email also contains a link through which he can change the review. Should the customer no longer have the confirmation email, a new link to change the review can be requested from the mediation service. What options do I have if no agreement can be reached? In the event that you do not succeed in reaching an agreement yourself, the mediation process of EXCELLENT.ORG is available to you. Here you have the opportunity to give unjustified or even insulting reviews in the mediation process and thus in the hands of our experienced mediation experts. The mediation staff will contact your dissatisfied client and try to reach an agreement of mutual interest. In addition, you have the opportunity for public comment. So, if the customer does not change his mind and refuses to change the review, then you can present your point of view in a public comment on the review. This will help you to clarify the situation and turn the negative review into a positive impression. When does it make sense to act against a negative review? In general, it always makes sense to contact the customer if he has given a negative review. Even if you do not succeed in transforming the negative into a positive review, you can learn from the problems and criticisms that have occurred. Even if the negative review is justified, you can get a positive reviews if you respond to and respond to the customer.